Real estate in Los Angeles is making a comeback for the first time since 2006, and this is happening most notably in the city of Glendale, California. The Los Angeles Times recently investigated why people were in such a hurry to buy single-family homes in the San Fernando Valley. In January 2013, the newspaper reported that there was an eighteen-percent drop in unoccupied units in Glendale alone. There are many factors as to why the numbers in Glendale are so strong. The upper middle-class Los Angeles suburb offers its residents all the luxuries of a small-town community with the convenience of living near a big city. The characteristics noted below also explain why Glendale’s real estate market is booming. 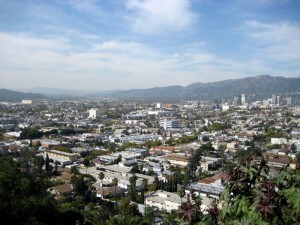 Single-family homes in Glendale, California, were listed for $715K in December of 2012, and as of January 2013, prices have dropped three-percent. Buyers who were sitting on the sidelines jumped at the opportunity to invest in Glendale in 2013, after learning that median sale prices in the area increased sixteen percent from last year. Average price per-square-foot also jumped to nine percent from three months prior. The data proved that the long-term growth was rising while inventories were falling. Glendale is one of the few cities within the Los Angeles area that has earned five-star “parent” ratings at ten or more learning institutions within its school district. The city also has one of the lowest property and violent crime rates in Los Angeles County. Statistics prove that Glendale residents are three times less likely to be a victim of a crime, compared with the rest of the county. Glendale home buyers have found an increase in real estate market values when comparing costs per-square-foot for three and four-bedroom homes to one and two-bedroom units. Simply put, it is a little less expensive to buy a larger Glendale home than it is to purchase a smaller one. Family, household and per-capita incomes in Glendale are consistent with state averages, meaning that Glendale residents earn about the same amount as Californians throughout the state. Furthermore, Glendale residents enjoy an average commute to work of thirty-five minutes or less. This equates to more personal time and less commuter stress for the typical resident. The City of Glendale is known for its affluent community standards. Filled with fine-dining restaurants, seven public parks, a California wildlife refuge and popular nightlife attractions, the city lures new home buyers and young adult investors who are looking for a safe place to raise their families. If this area sounds like the place you have been looking for and you would like more information, don’t hesitate to contact Glendale real estate agent at Real Estate Unlimited Agency by calling us at (213) 375-8738 or contact us online. We can’t wait to hear from you.